L-R Hervey Bay RSL Sub-Branch Treasurer Tracy Gillespie, President Brian Tidyman, Kaitlyn Ralston (St James Lutheran College), Latarni Thompson (Urangan State High School); Brianna Skyring (Xavier Catholic College); Elke Aulsebrooke (St James Lutheran College); Bonita Anderson and Brooke Keig (Hervey Bay State High School) with Deputy President John Beattie. The competition involves students from Years 10 to 12 researching the topic and presenting their speech before the Sub-Branch committee members. 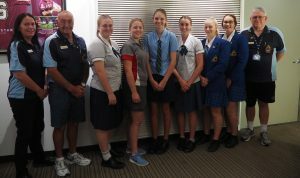 This year, six senior students from various Hervey Bay High Schools demonstrated a great deal of effort on researching the participation of Nurses in World War I to the present time 2018. It was a difficult decision for the committee to decide on only two winners who would go on to present their speech at the Dawn Service and Main Service on ANZAC Day 2019. A third winner was also selected and this student will give her speech at the Commemoration Service on Remembrance Day 2018. The level of enthusiasm shown by all six students, all young women, was a credit to themselves and to their various schools who encouraged them to participate in the competition. The three winners for 2018 are: Brooke Keig from Hervey Bay State High School and Kaitlyn Ralston from St James Lutheran College. Both these students will give their speech on ANZAC Day 2019. 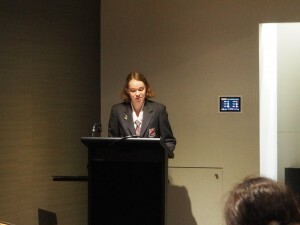 Latarni Thompson from Urangan State High School will give her speech this Remembrance Day. 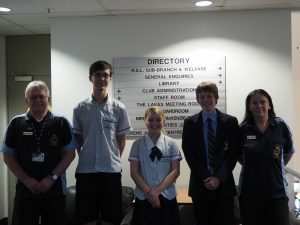 The Hervey Bay RSL Sub-Branch would like to thank all the students who entered the competition for their fantastic effort. On Monday 23 October 2017 Sarah Laidler from Hervey Bay High School presented her speech to the President Brian Tidyman, and Deputy President John Beattie, of the Hervey Bay RSL Sub-Branch. Sarah will be giving her speech at the ANZAC Day Main Service on Wednesday 25th April 2018. 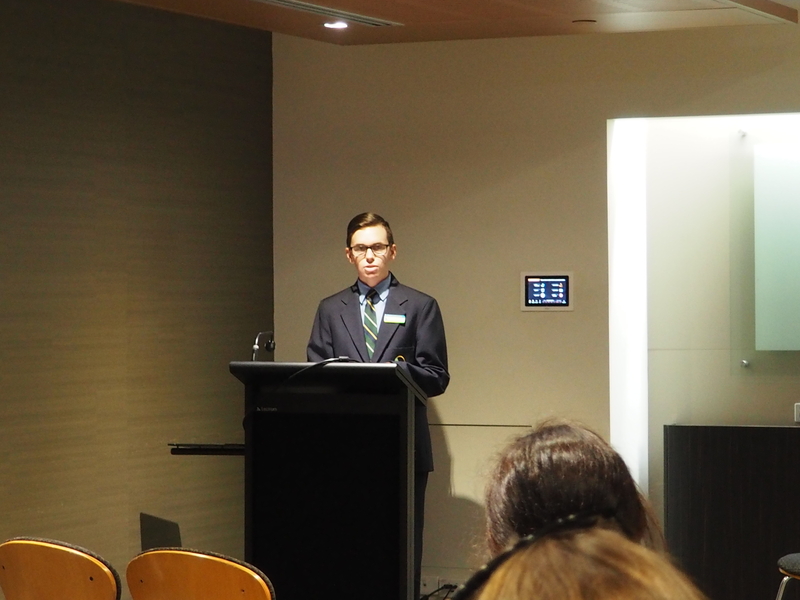 On Monday 30 October 2017 Daniel Haskins and Cassidy Dobson from St James Lutheran College and Lachlan Grumley from Xavier Catholic College presented their speeches to the President, Deputy President and Tracy Gillespie, Committee Member. All speeches were well received and Cassidy Dobson will be giving her speech at the ANZAC Day Dawn Service on Wednesday 25th April 2018. The Sub-Branch Committee was impressed with the all the presentations and look forward to sharing the winning speeches with Hervey Bay next ANZAC Day. For their hard work, effort and researching the topic, Sarah and Cassidy have won $2,000.00 each towards their further education. Well done and thank you to those students and schools who participated in the ANZAC Centenary Youth Competition for 2017.
our two winners of the Hervey Bay RSL Sub-Branch Inc. & Fraser Coast Regional Council ANZAC Centenary 2014-2018 Youth Competition. A special mention goes to Emily Waring (Urangan State High School) for her contribution. Thank you to all participants for their presentations to the Hervey Bay RSL Sub-Branch on Friday 7 October 2016.